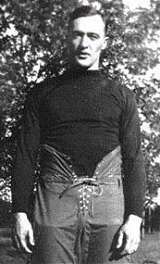 «1897: In the first game on the original Nebraska Field, fullback George Shedd does all the scoring – three TDs, two PATs – in a 16-0 win in the mud over Tarkio. Students "labored all morning with brooms and mops and absorbent materials" to get the field ready, the Nebraska State Journal reported. In previous seasons, home games were played at Lincoln's M Street Park. 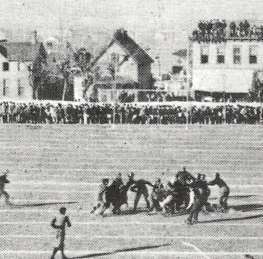 Nebraska Field would give way to an engineering building after the 1907 season, and a new Nebraska Field would make its debut in 1909. 1902: Nebraska gets its first win against a Western Conference team in an upset at Minnesota. 1932: A missed PAT and a hook-and-lateral touchdown play sink the Huskers in a 7-6 loss at Minnesota. 1967: Winless Kansas stuns unbeaten Nebraska, 10-0, in Bob Devaney's first shutout loss at NU. 1972: Johnny Rodgers overtakes Bobby Reynolds as the Huskers' career scoring leader as Nebrasaka dismantles Missouri, 62-0. Also, NU's quality backups earn some publicity. 1977: For the second year in a row, Iowa State defeats Nebraska, this time in Lincoln, 24-21. 1982: Turner Gill sets a Big Eight record for completion percentage in a 42-13 win over Kansas State. 1987: The Huskers throttle Thurman Thomas and Oklahoma State, 35-0. 1997: Nebraska rises to No. 1 in the AP poll after a 29-0 win over Texas Tech. 2002: Oklahoma State ends a 36-game winless streak against Nebraska with a 24-21 victory in Stillwater. 2007: Steve Pederson is fired and Tom Osborne is hired as athletic director. On the field, Texas A&M hands the Huskers their third consecutive October loss, 36-14. 2012: Taylor Martinez throws two touchdown passes in the final six minutes as Nebraska rallies for a 29-28 win at Northwestern.